Thursday, Dec. 5, 9:30 a.m. to 12:30 p.m. – Conestoga Band performances at Conestoga View, Homestead Village and Hamilton Arms under the direction of Jill Almoney. Thursday, Dec. 5, 7 p.m. – High School String Ensemble Performance at Woodcrest Villa under the direction of Sara Masten. Saturday, Dec. 7, 10 a.m. – Martic Elementary School Concert featuring the Martic Band, Grade 3 and 5 performances under the direction of Allan Dutton. Sunday, Dec. 8, 2 p.m. – Manor Singers Performance at Hersheypark’s Candylane under the direction of Lauren Forbes. Tuesday, Dec. 10, 7 p.m. – Central Manor Elementary Grade 3 Performance and Ensembles Holiday Concert under the direction of Sarah Repkoe, Jill Almoney and Konrad Fritz. Thursday, Dec. 12, 2:15 p.m. – Conestoga Elementary School Holiday Concert under the direction of Jill Almoney and Konrad Fritz. Thursday, Dec. 12, 7 p.m. – Pequea Elementary School Holiday Concert featuring the 5th– and 6th-grade band, strings and chorus under the direction of Sue Hamer. Thursday, Dec. 12, 7:30 p.m. – Manor and Marticville Middle School combined band, strings and chorus Holiday Concert under the direction of Lauren Forbes, Sara Masten, Tom Mumma and Skip Reddig, in the high school auditorium. Friday, Dec. 13, 6 p.m. – Manor Singers under the direction of Lauren Forbes at Stauffer’s of Kissel Hill, Rohrerstown. Saturday, Dec. 14, 10 a.m. – Manor Singers and Penn Manor High School String Ensemble at Darrenkamp’s, Willow Street, for “Santa’s Visit.” Singers perform at 10 a.m., string ensemble at 11a.m. Saturday, Dec. 14, 7:30 p.m. – Manor Singers at Conestoga Historical Society under the direction of Lauren Forbes. 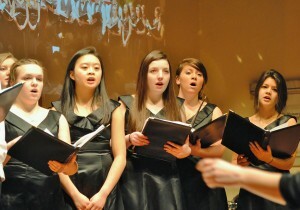 Saturday, Dec. 14, 6:45 p.m. – Tri-M Honor Society Bell and Vocal Choir at Lancaster Museum of Art. Monday, Dec. 16, 5:15 p.m. – Elementary Orchestra presentation at Pequea Elementary under the direction of Sue Hamer and Konrad Fritz. Tuesday, Dec. 17, 2:15 p.m. – Eshleman Elementary Holiday Assembly featuring the 5th– and 6th-grade band and strings under the direction of Linda Husler, Jill Almoney and Sue Hamer. Wednesday, Dec. 18, 2:15 p.m. – Letort Elementary Holiday Assembly featuring the 5th– and 6th-grade band, strings and chorus under the direction of Linda Husler and Konrad Fritz. Wednesday, Dec. 18, 5:30 p.m. – Hambright Elementary Holiday Concert featuring the 5th– and 6th-grade band, strings and chorus under the direction of Lee Jordan and Konrad Fritz. Wednesday, Dec. 18, 7:30 p.m. – Penn Manor High School Winter Concert featuring the Manor Singers, full chorus, string ensemble, orchestra and concert band under the direction of Lauren Forbes, Sara Masten and Tom Mumma. Friday, Dec. 20, 9 a.m. – Hambright Elementary Holiday Assembly featuring the 5th– and 6th-grade band, strings and chorus under the direction of Lee Jordan.